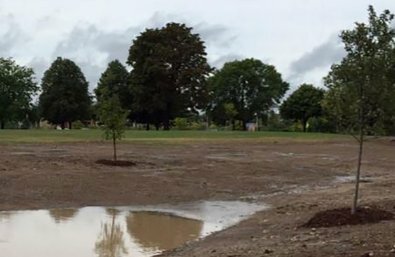 The Fund for Lake Michigan is supporting the Center for Resilient Cities’ work in partnership with Milwaukee County and the Rotary Club of Milwaukee to restore and revitalize a 17-acre area that includes Johnsons Park, recently rated one of the most neglected public spaces in Milwaukee County. The large-scale improvement project will involve new sports fields, an outdoor performance space, walking and cycling paths, as well as environmental restoration. This grant will support the construction of an infiltration basin to prevent flooding in the park and surrounding neighborhood.